Gardeners and Outdoor Enthusiats Love Atlas Gloves! Atlas Thermafit gloves offer comfort and protection for cool weather work or play. Thicker, napped liner adds cushion & warmth. Textured rubber coating for great grip wet or dry. Seasonal with year round appeal. Machine Washable. The Atlas Fit™ Series of gloves provides durable hand protection without sacrificing dexterity or flexibility. Atlas Fit gloves are made of a medium weight cotton/polyester blend, KEVLAR® or HPPE and offer several coating options for increased grip, cut, puncture and abrasion resistance. 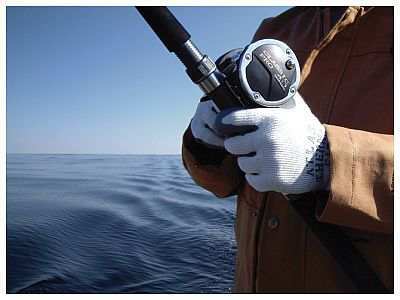 •The use of the finest quality materials available and strict quality control make the Atlas Series of gloves the best performing palm dipped gloves in the marketplace today. •Seamless knit construction eliminates uncomfortable seams that can tear, rub or chafe. •Open back configuration provides superior ventilation. •Made with a patented dipping process which provides superior fit, dexterity and durability. •Coatings provide excellent wet/slippery grip and help inhibit liquid penetration. •Flexible, ergonomically correct design conforms snugly to the natural shape of the hand, increasing comfort and reducing hand fatigue. •Color coded over-edge allows for easy sorting after laundering. Available in Small, Medium, Large and X-Large Sizes (select at checkout). You may mix sizes. Simply add your request in the 'Comments' section of the online order form. Save $$ when you buy Atlas Thermafit Gloves by the 8 pair or 12 pair Pack!